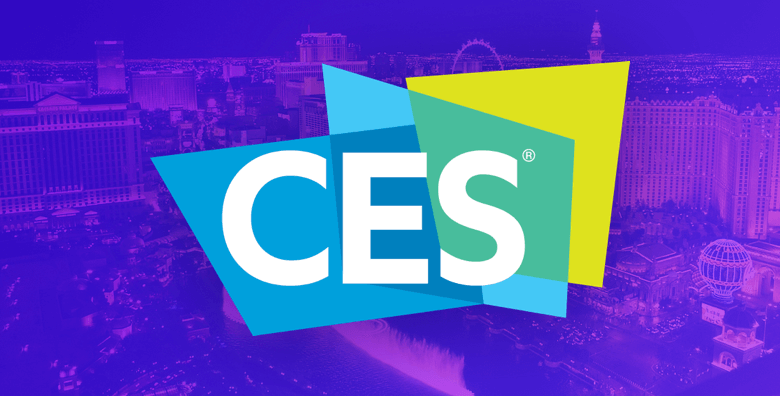 Golden Frog recently trekked out to Las Vegas, Nevada for the Consumer Electronics Show (CES) 2019, which heralds itself as the world’s most influential tech event. Our personal inspiration for attending was that we had hopes of engaging with the Federal Communications Commission (FCC) and hearing first-hand updates about the fate of Net Neutrality, and how the Federal government intends to regulate 5G. Regrettably, the FCC was absent due to the government shutdown, and we were left disappointed by their failure to attend for the second time in as many years. We looked forward to providing a user advocate’s voice in the Net Neutrality discussions, so we still have some lingering questions that the FCC have not yet satisfied, and we certainly hope they don’t decide to avoid CES for a third year in a row next time around. Just the same, one of the genuine joys of attending CES is that it feels as though you are getting to steal a glimpse of the future. And the showcased technologies on display surely were futuristic in terms of their potential implications for society. Among the most prominent buzzwords that stirred throughout the showroom were AI and 5G. CES 2019 certainly brought artificial intelligence center stage. And IBM Chairman, President and CEO Ginni Rometty promised a crowd that gathered at the opening keynote address that AI would turn data into the “world’s greatest natural resource”, she was short on specifics, but promised broad innovations were just around the corner thanks to data in the hands of artificial intelligence. It was suggested that revolutionary change was about to transform the landscapes of cities, health care, transportation, and the everyday use of robotics. Elsewhere at CES 2019, some of those potential everyday use robotics were busy wowing crowds, such as the robot designed to fold laundry. And after its showstopping showroom performance the FoldiMate may be well on its way to becoming a common household appliance in the coming years. Plenty of people were ready to say shut up and take my money now. The idea of Autonomous Driving also dominated a lot of AI conversations throughout the course of CES 2019. The opportunity to test drive some of these proposed self-driving vehicles was made available by companies hoping to demonstrate the safety capabilities of the AI behind it all. And these Smart Cars were all heavily tethered to 5G technology as self-driving cars rely upon making split-second decisions that are wholly dependent on having data transfer with zero lag time or else things can go terribly wrong very fast. The proposed vehicles had built in systems that essentially transformed a car into its own data center, computing detailed decisions internally instead of relying on a third-party server. But CES 2019 was certainly not shy to promote 5G in a variety of other fashions over the course of the event. They were proud to display what they dubbed to be the entire “5G ecosystem”, proclaiming the wireless technology to be the “backbone of transportation, virtual reality, sports technology and digital health”, promising onlookers that world-changing innovation was upon us all. What was problematic is that concrete examples of 5G devices were not readily available. Many carriers seemed so eager to be the first to rush 5G technology to market that they were confusing people about what it even was they had to offer. Because although the 5G network was alive and kicking at CES 2019, the products themselves were not. Apple, for example, doesn’t even intend to launch a 5G iPhone before 2020. Time will tell if any of the hype surrounding AI or 5G manages to deliver, but there’s no denying that the potential around these innovative technologies is exciting stuff for everyone involved. And it is inevitable that the applications of 5G and AI, both separately and in tandem, will have a profound impact on the fate of privacy and security going forward. All in all, it was an enlightening experience to be in the thick of movers and shakers throughout the course of CES 2019, all of which were mapping out compelling visions for what the future may hold. Golden Frog met with several partners and top manufacturers in the Internet and hardware industries, and we value those relationships dearly as it gives us an influential voice in the industry as consumer advocates for online security. We build products designed to protect consumer privacy from being exposed, and the more direct our communication is with the visionaries of up and coming technological platforms, the better we can position ourselves to be a collaborative partner with manufacturers when it comes to developing encryption products. It seems clear that network capabilities will be taking a giant leap forward in the coming years, and we are preparing ourselves to ensure that our VyprVPN service is always modernized and ready to meet the needs of an ever-changing technological landscape. Want to protect your Internet? Sign up for VyprVPN for free.